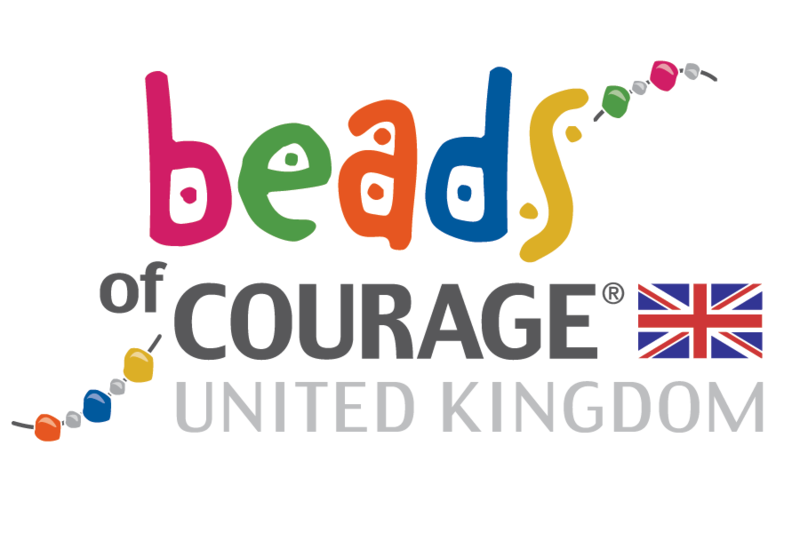 Children with Cancer UK is delighted to support the Beads of Courage Oncology Programme in the UK. The Beads of Courage UK programme offers support and strength to families when they need it most. What are Beads of Courage? Our new partnership with Beads of Courage UK will ensure that the Beads of Courage will be available to all young cancer patients being treated in 110 childhood cancer wards across the UK. Over 4,500 children are diagnosed with cancer every year. The first bead that young cancer patients receive will also be branded as the Children with Cancer UK bead to show our support for these brave children. This is part of our commitment to providing hope and happiness to children and young people with cancer. Purple heart bead: completion of treatment! Laraib has a rare form of acute lymphoblastic leukaemia – ABl2 – and has collected more than 2,000 beads during her treatment. Each bead has a specific purpose and represents a different aspect of her recovery. On 28th April, many of our wonderful Virgin Money London Marathon runners will be carrying a special Bead of Courage for a child with cancer. 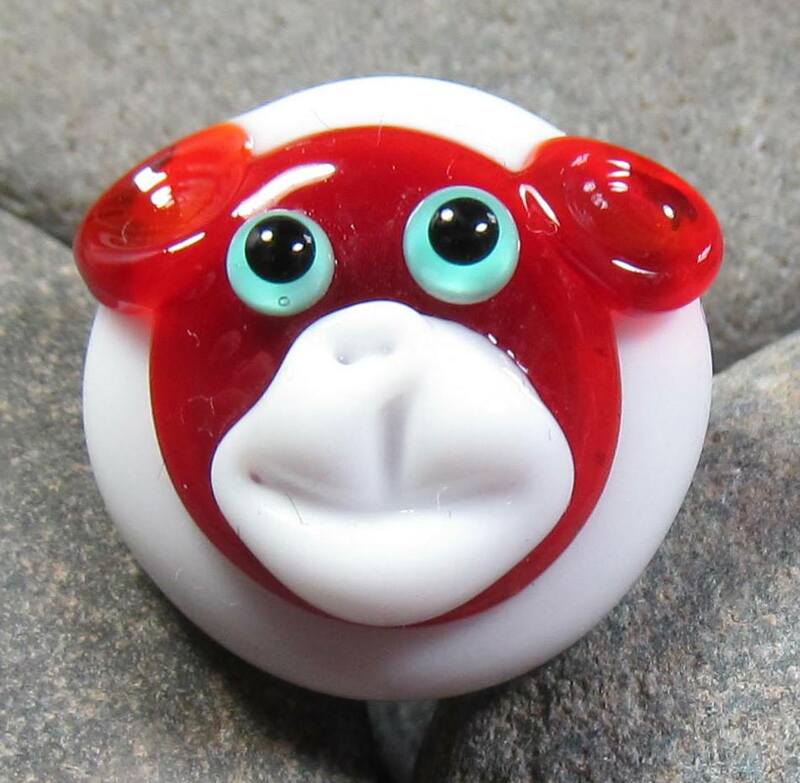 Two of these unique, handcrafted beads will be carried by each runner as they take part in this most famous of all marathons – a personal achievement for any runner. At the end, they will keep one bead and return the other with a caring note to encourage a child or teen coping with serious illness. A simple bead goes a long way to encourage and honour their fight for life. In March we introduced ITV children’s presenter, Sam Homewood, to childhood cancer survivor Sam. Young Sam was diagnosed with acute lymphoblastic leukaemia when he was five years old. TV presenter Sam Homewood will be running the Virgin Money London Marathon for us this April. 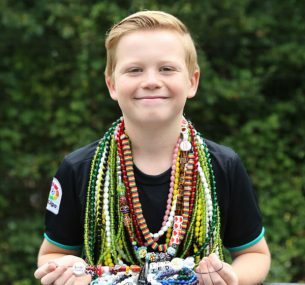 11 year old Sam asked Sam Homewood if he would like to run the marathon carrying his brightly coloured Rainbow Bead, given to him for his physiotherapy sessions. When Sam was receiving his physiotherapy sessions, he was confined to a wheelchair as a result of his treatment. When Sam Homewood completes his marathon, he’ll give the bead back to young Sam at the finish. Good luck and well done to both Sams.